Here is a lovely French pochoir print from Paul Louis de Giafferri's 1925 magnificent folio work - 'History of Feminine Costume from 1037 - 1870'. The pochoir, hand-painted on card and blank on its reverse, is scrumptious. 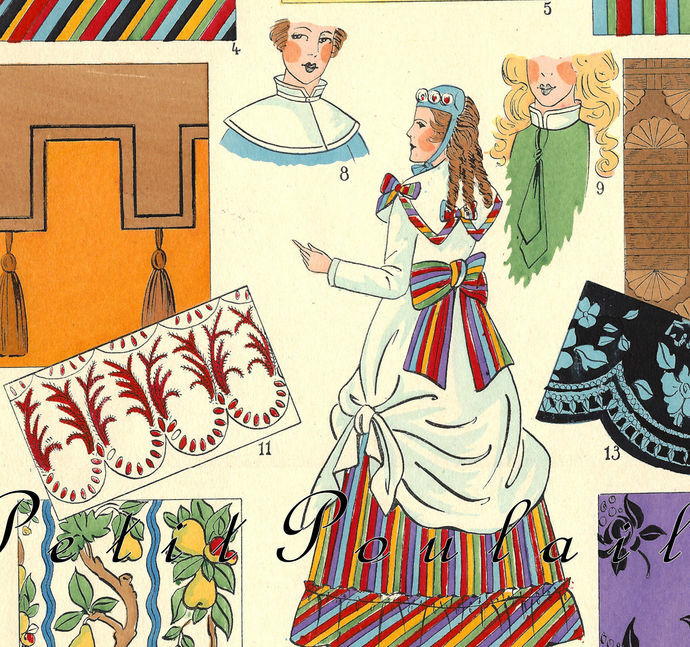 It features 19 hand-colored fashion illustrations of 'Étoffes', [Fabrics] from France's 2nd Empire era, 1852-1870. The heavy paper is blank on its reverse, measures 10.75" x 14.625" (27x37 cm), and shows gentle edge tanning. With bright and lovely colors, the papers are clean and smooth and each has a French text key at the paper's bottom. There are no tears, folds, creases, or marks. 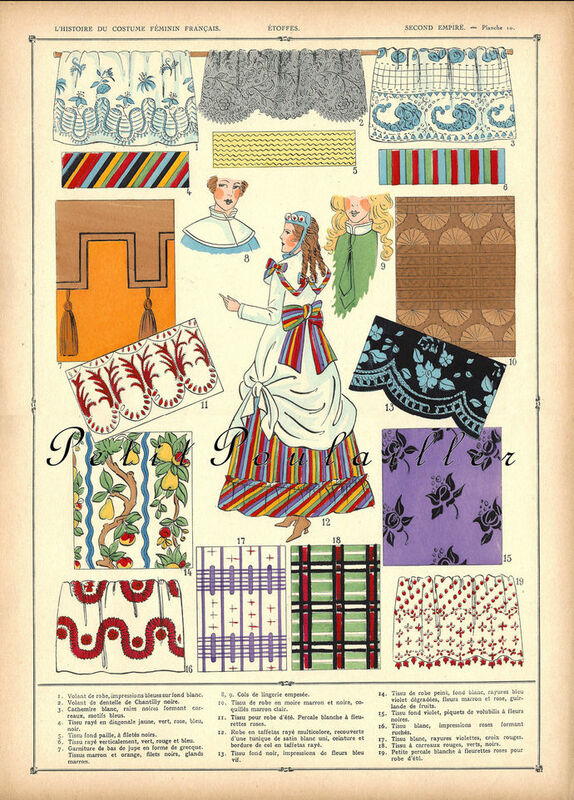 A gorgeous fashion plate to frame, a wonderful addition to the paper supplies for your art - card and tag creations, collage, scrap book page making.